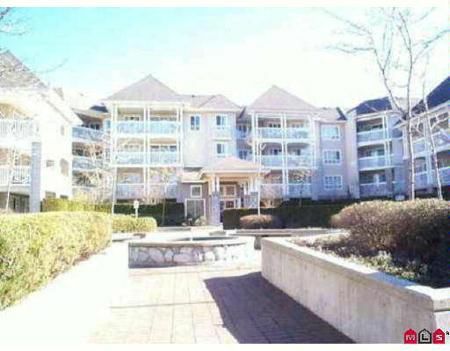 Very attractive 2 bdrm, 2 bath top floor unit in fantastic location overlookinggreen space in desirable Murray Green. Attractively decorated this unit boastsspacious open plan, with lots of accommodation for entertaining & family. Liv rmw/cozy gas f/p & patio dr to balcony with no neighbors behind. Din rm for more formal dining occasions. Attractive kitchen w/lots of cabinets & E/A. 2 baths & 2 bdrms including master bdrm w/w/i closet & 3 pce ensuite. This top floor unit overlooking greenspace is a must see. Desirable building in great Murrayville location. Exercise room and hot tub. Attractive courtyard entry with fountain.